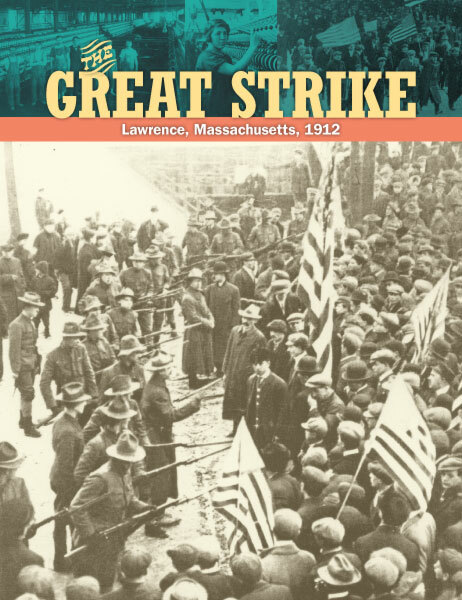 The Great Strike tells the story of textile workers who joined together to protest a pay cut in the winter of 1912. The two-month work stoppage, which later became known as the Bread and Roses strike, drew national and international attention for its scale and tactics, and it helped bring about changes that improved the lives of working people for years to come. Students will learn about the conditions that led to the strike, the risks and hardships strikers endured, and the impact of their efforts. By analyzing this historical event, they will develop an understanding of civic and economic issues that remain relevant today. The unit may be used as a supplement to a U.S. history unit on the Industrial Revolution or Progressivism, or as a stand-alone unit for exploring broader social studies themes and developing literacy skills. In the full-color Student Edition, students read an engaging narrative of the major events of the strike. They meet the seasoned labor leaders who helped organize thousands of workers— many of them recent immigrants speaking a dozen different languages—into a unified force for change. Students also meet some of the teenagers who left school to take grueling factory jobs, earning a few dollars a week to keep food on their families’ tables. Photographs, maps, and graphs support the text on every page. Side-column notes and questions provide point-of-use support. The Teacher’s Guide includes resources for introducing the student text, promoting understanding, and assessing and extending learning. It provides a correlation to Common Core Standards and NCSS Themes. Reproducible blackline masters allow students to delve into primary sources and to review key terms and ideas.